Fleet Foxes have shared “Icicle Tusk,” the second single released off their forthcoming special-edition release First Collection 2006-2009, out Nov. 9 on Sub Pop and Nonesuch. “Icicle Tusk” is originally off the band’s self-titled debut EP. The band only made about 50 copies of the record, which they self-released at shows in the Seattle area in 2006. 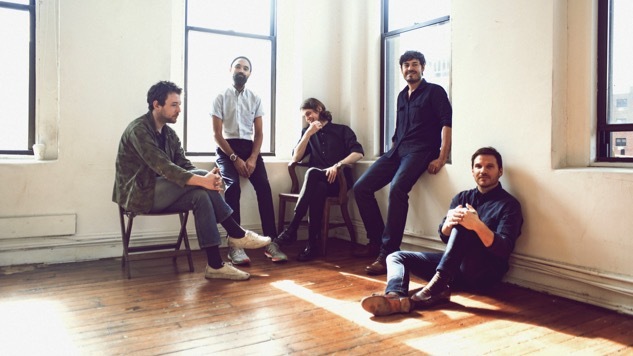 The success of the EP, which was produced by Seattle music veteran Phil Ek, led to Fleet Foxes signing with Sub Pop. First Collection will feature the self-titled EP along with their debut full-length, the Sun Giant EP, and a B-sides and rarities collection. Find the full tracklist here. Check out the remastered “Icicle Tusk” and a 2008 Fleet Foxes performance from the Paste archives below.